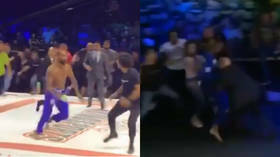 A Brazilian jiu-jitsu event in Sao Paulo ended in chaos after main event fighter Erberth Santos launched a savage attack on his rival Felipe Pena’s teammates in the crowd, barging over a female bystander in the process. 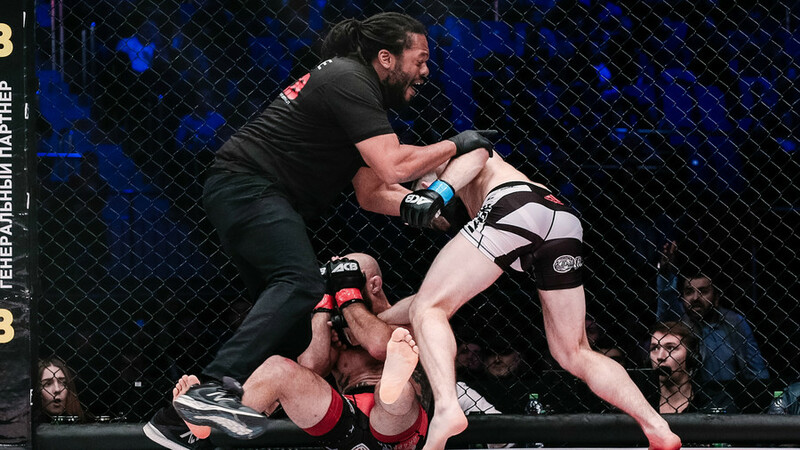 The match between Brazilian rivals Pena and Santos was the eagerly-awaited main event on the BJJ Stars card on Saturday, but instead bore witness to shocking scenes as Santos set off a mass brawl. Mid-way through the match Santos went down with an apparent knee injury sustained after an attempted sweep by Pena. 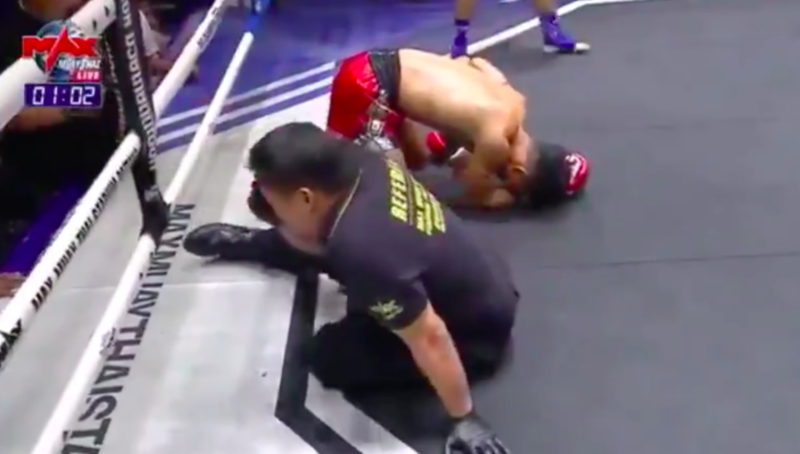 As the Brazilian was being attended to he began pointing his finger at someone off camera in apparent response to a verbal back-and-forth, before leaping to his feet and hurling himself off the mat into the crowd. He then began brawling with members of Pena’s team, sending a woman standing nearby to the deck in the process. That sparked chaotic scenes as others waded in, some in an attempt to restore order. After the initial chaos had subsided and Santos was back on the mat, he hurled himself into the crowd for a second time, precipitating an even larger fracas which saw him tumble off the mat with a member of Pena’s team followed by his rival as others piled in with kicks. The Jiu-jitsu Times reports that other potential targets were Pena’s teammates Daniel Thebit and Servio Junqueira. Santos was eventually escorted out of the area and 2018 World Championship gold medalist Pena awarded with the BJJ Stars belt. Santos was later banned from the promotion, BJJ Stars promoter Fernando Lopes told MMA Fighting on Sunday morning.